Tired of bonuses limited to Slot games only? 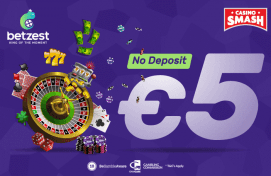 Claim BetVictor Casino bonus and play all kinds of games instead! If you play Casino games online, you know online gaming sites usually offer a welcome bonus for all new players. And you probably also know how that bonus goes. You get X amount of free spins or Y percent deposit match bonus up to Z amount of cash. The problem with this bonus is, it’s usually tied to some specific games. And most likely, only Slot games. Want to claim a bonus for all Casino games? Do it here! If you don’t give it any thought or simply love Slot games, it may not sound like a problem. So, try to imagine the bonus is like a trial version of some computer programs you use. Let’s say you download a trial version of Microsoft Office for work. And you get rights to use only MS Access, the program for creating databases. That’s right – no MS Word, Excel, PowerPoint, Outlook, or anything else. Bonus points, if you don’t even need Access or don’t know how to use it. How would that make you feel? And that’s how most Casinos treat the players with bonuses. "Do you want to play Live dealer games? Here, play some Slots instead." 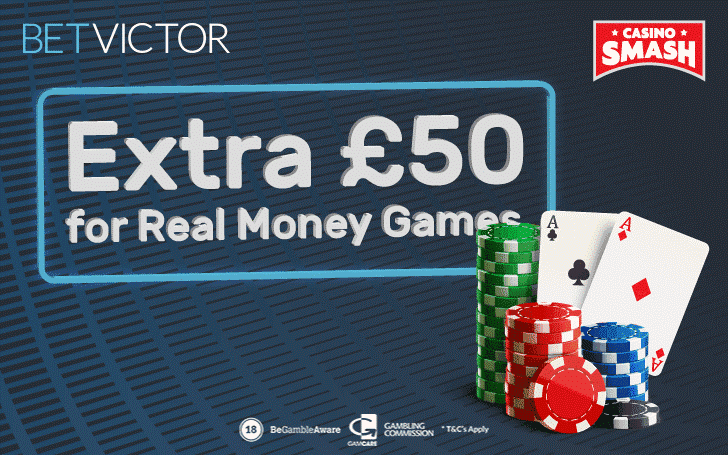 BetVictor is the winner of Casino bonuses in 2019. Their bonus doesn’t go to the ridiculously high amounts of money that no one would ever claim at a new Casino. Or would manage to withdraw after wagering anyway. It’s a simple bonus: deposit and wager £10, get extra £50 for Casino games. And they mean Casino games, not only “these three Slots that no one is playing otherwise”. Now, this is a good "trial version". You get to try games from different categories and see how Casino works outside the Slots section. Who knows, maybe you’ll even find your next favourite game category or game itself. Make sure to deposit and wager £10 the first week after signing up at the Casino. And once you get the bonus, to use it in the next three days. All versions of Baccarat and Blood Suckers Slot game are not available with the bonus money. They don’t also don’t count for the initial £10 needed to claim the bonus. Full T&C apply. Bonus info: terms and conditions apply to the offer. If something isn't clear, have a look at our review of BetVictor Casino for the T&Cs in full. The offer on this article might have expired by the time you read it. Please refer to the review pages for the latest bonuses and promotions available.